What a futuristic and forward thinking side chair or dining chair. 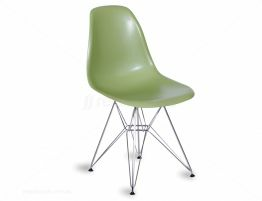 Husband and wife American design team, Charles and Ray (Bernice) Eames found their inspiration in the new plastics that were available and made shapes and forms that had been previously only imaginable now actually possible to implement. The Eames understood the need for affordable, yet high quality furniture. The result was the Eiffel DSR, a light weight practical design formed for maximum comfort. The Eiffel chair in its many forms was an instant classic. This designer chair was designed for stability and eye catching good looks. Our designer replica pays tribute to the original design, materials, and detailing. 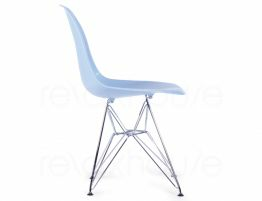 Our designer replica Eames organic silhouette features a seat made of moulded ABS plastic and positioned on a bent-wire, welded base, reminiscent of the Eiffel tower. 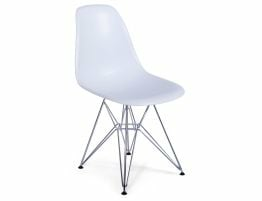 Inspired by the Eames Eiffel chairs, designed in 1951, the Relax House Eames DSR Eiffel Chair Replica gives you a stunning chair at an affordable price. 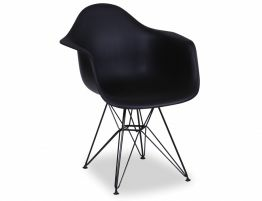 Add this stunning chair to your modern dining room or kitchen. 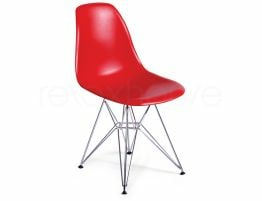 At this affordable cost, this chair is also a great option for your restaurant remodel or update. This designer chair makes a bold statement and offers you a high end look with a far more democratic price tag. 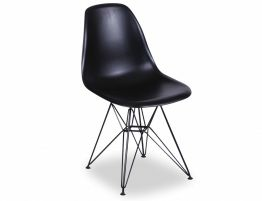 Our Eames Style DSR Chair is a high quality reproduction in the style of the original design. Finally, an affordable way to bring this iconic, design classic into your home. Our design replica is strong enough for both residential and commercial use. 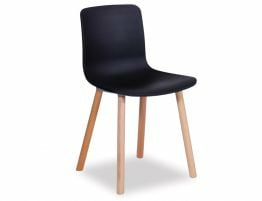 A beautifully A beautifully crafted piece of modern furniture history makes this a perfect dining and side chair. Cafe Chairs Shop proudly offers you, our design conscious customer, a high end version of this famous dining chair.